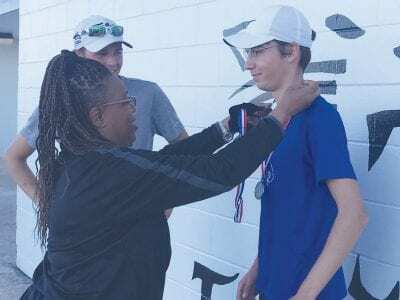 McMullen County’s Pablo Esteban (right) receives his second-place medal at the 1A-IV regional tennis tournament on April 17. 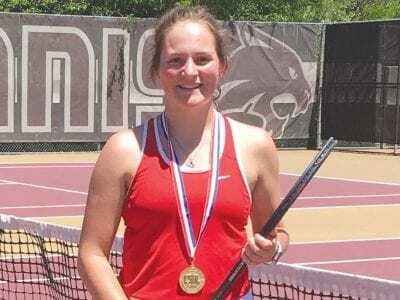 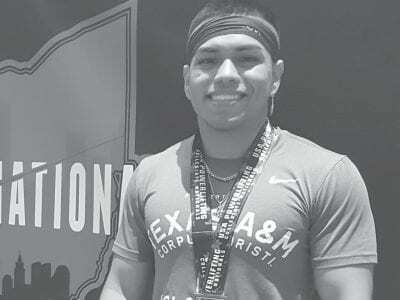 Esteban rallied from a 5-2 deficit in the third set to win his next-to-last match before winning a playback match for second place to advance to state, which will be at Texas A&M in College Station May 16-17. 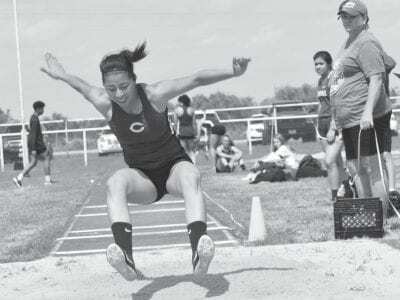 Charlotte’s Mia Campos bounds forth in the long jump during the area meet hosted by Charlotte on April 16.